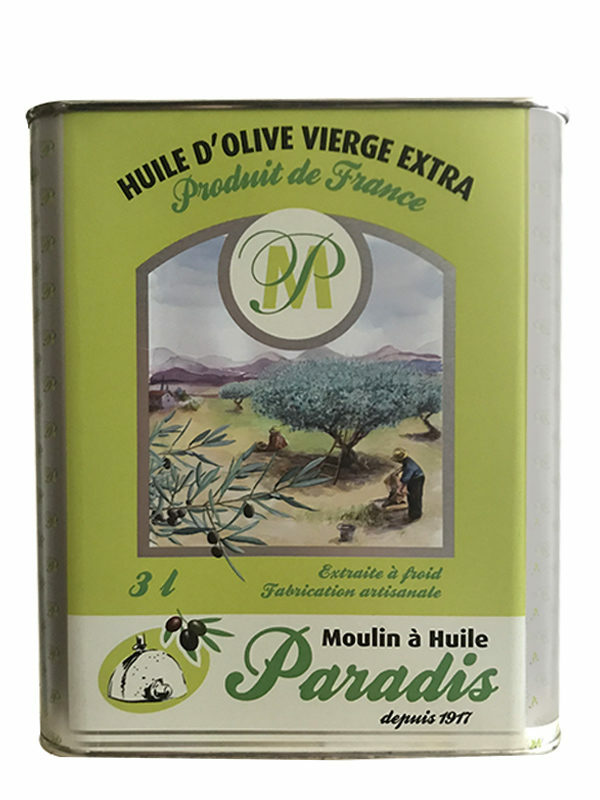 Extra virgin olive oil Picholine from France (Gard) of the Moulin Paradis : a single variety olive oil : Picholine from Gard – green fruity taste : Peppery and powerful with a marked and long-lasting ardor. Aromas : very herbaceous. A local olive oil,the Picholine from Gard. Very typical, it’s cold extracted by Christophe Paradis. 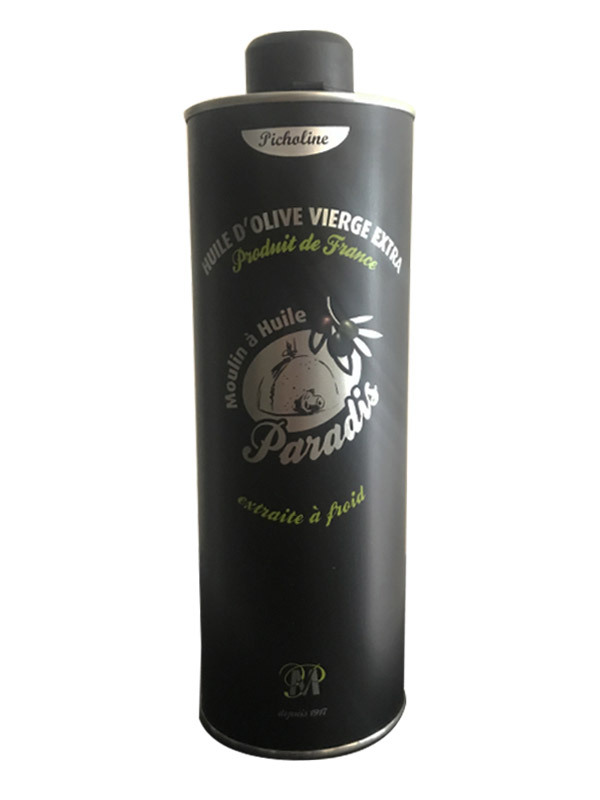 Olive oil from France (Gard) extra virgin Vierge Extra from the Moulin Paradis : Picholine from Gard – green fruity taste : Peppery and powerful with a marked and long-lasting ardor. Aromas : very herbaceous. 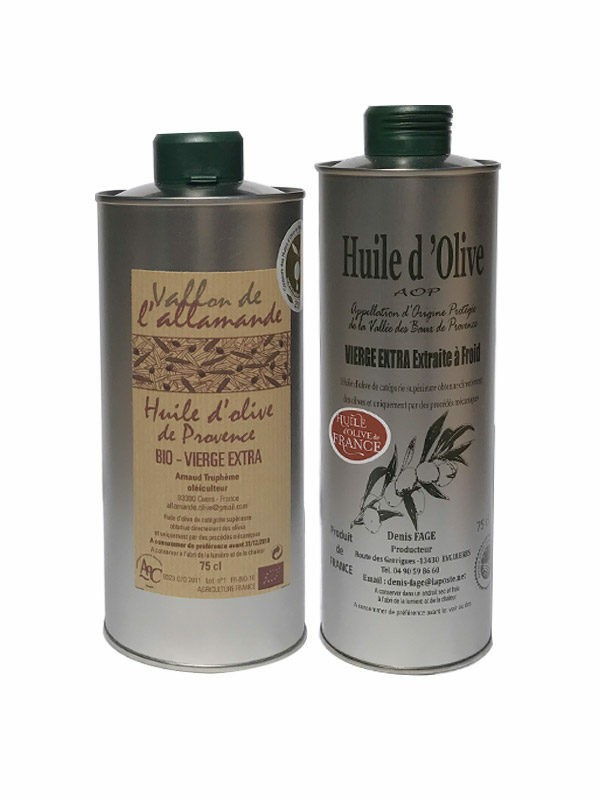 A local olive oil, the Picholine from Gard. Very typical, it’s cold extracted by Christophe Paradis. Unique on salads, early vegetables, raw fish in carpaccio. 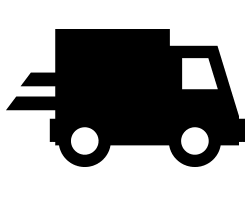 Picholine olive oil from Gard is ideal for realize the true garlic.